When you own a vehicle, auto repair and maintenance is always in your future, so it is important to know what kind of parts should be used. There are 2 different choices – Original Equipment Manufacturer (OEM) or aftermarket parts. While both options do a similar job, OEM parts will always outperform aftermarket components. OEM parts have been specifically created for your vehicle by using the same machines and materials as the originals. They have a certain quality, dependability, and durability to them that can’t be matched by generic parts. Keep reading to learn more about the different benefits of using OEM parts for any of your auto repair or maintenance services. When you’re ready, schedule your service appointment at Bob Moore INFINITI in Oklahoma City. The first benefit to using OEM parts is the quality of the materials and the manufacturing process. OEM parts are created in the same manufacturing environment as your original parts, which means they are made from the same materials by the same exact machines. When you buy an OEM part for your auto repair you are replacing the old, worn down part with its identical twin. You can expect the new part to work exactly the same and to give you the power and performance as the original. There is a reason that vehicle manufacturers create OEM parts. They want to ensure that your vehicle continues to run how they intended. Learn more about the quality of OEM parts at Bob Moore INFINITI. One benefit that drivers may not know when shopping for auto parts is that OEM parts usually come with a manufacturer’s warranty in case they do not perform accordingly. These warranties will cover costs associated with the part in the event that it fails and causes damage. If you use a generic part and it fails, you could likely be responsible for the paying out of pocket costs instead of filing a claim with the manufacturer. OEM parts will give you the assurance and support that you want from a replacement part as well as the peace of mind that you deserve. Come to our Oklahoma City car dealership today to learn more about the different INFINITI warranties we offer. As seen in Benefit No. 1, OEM parts are specifically created for your model vehicle down to a T. This ensures the compatibility with your vehicle on many different levels that you may not even realize. Not only will the part fit correctly and perform like the original, but it will also be compatible with the internal computer systems and sensors. Modern vehicles have all sorts of connected sensors that communicate between parts and generic parts may not be able to perform as needed. By using an OEM part, you can ensure the communication between parts is in proper working order. The durability of a part is an important benefit to keep in mind while you’re shopping around as well. While a generic part may look like an OEM one, you can’t be sure that they are created with the same materials. There are various different kinds of plastics and metals used within vehicles and some perform better than others. OEM parts are designed with the higher quality materials so you can rest assured that they will last longer than the generic ones. 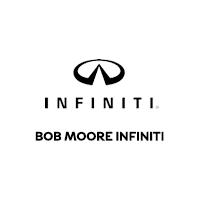 Bob Moore INFINITI is your premier car dealership in Oklahoma City for all things automotive. Call or schedule your next service appointment with us today. When you come to Bob Moore INFINITI in Oklahoma City, you can expect the ultimate experience in customer service. We are dedicated to each of our drivers and want to ensure that they make informed choices when it comes to auto repair and maintenance services. The certified technicians at our service center are prepared to answer any questions you may have regarding parts or general auto repair services. Call or schedule your service appointment with the team at the Bob Moore INFINITI service center in Oklahoma City, OK.